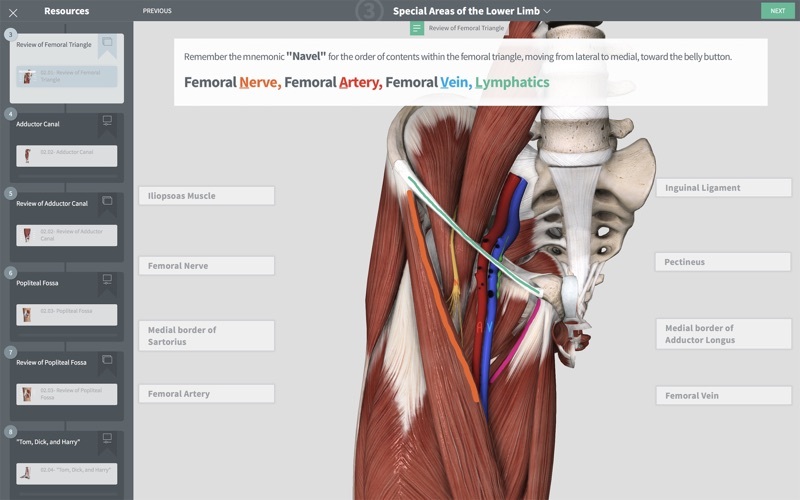 Learn like never before with over 19 hours of incredible interactive content! 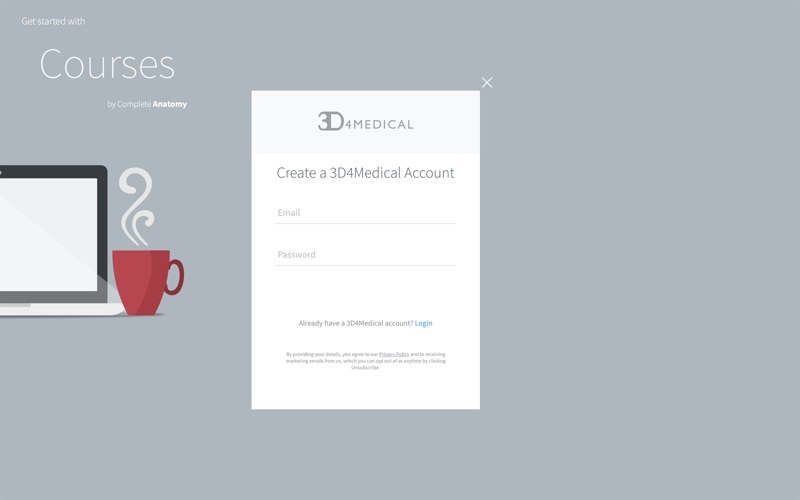 Register to download your Course from the cloud and access the content on multiple devices. Presented by a team of 7 top anatomical experts from leading universities, this systemic anatomy Course in Undergraduate Human Anatomy guides you through an introduction to the key concepts and principles of human gross anatomy, covering the main body systems in individual modules. 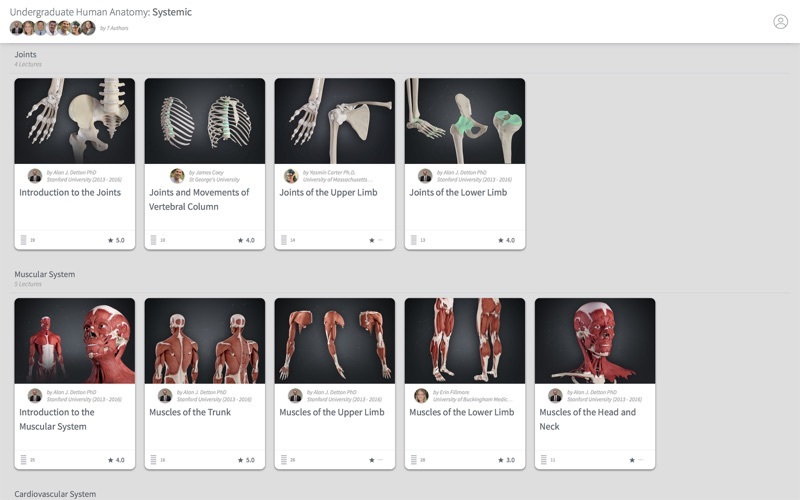 Choose from a range of 11 Modules and 42 Lectures to experience each of the body systems in magnificent 3D. 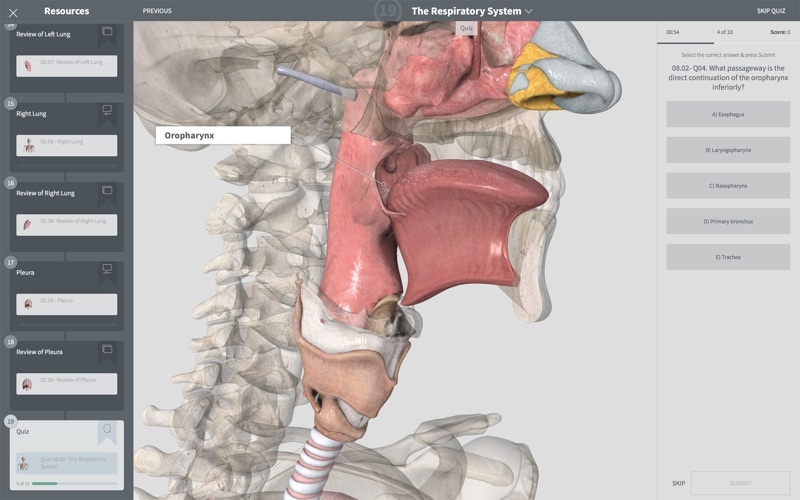 Follow the interactive Recordings, with audio from our experts, to become familiar with the tissues, bones, muscles, blood vessels, and nerves of the body, and pause the playback at any point to explore the anatomy in greater detail. Review Screens summarize the Lecture and include extra study notes to enhance your understanding of the material. Test your knowledge with unique Quizzes created for every Lecture. 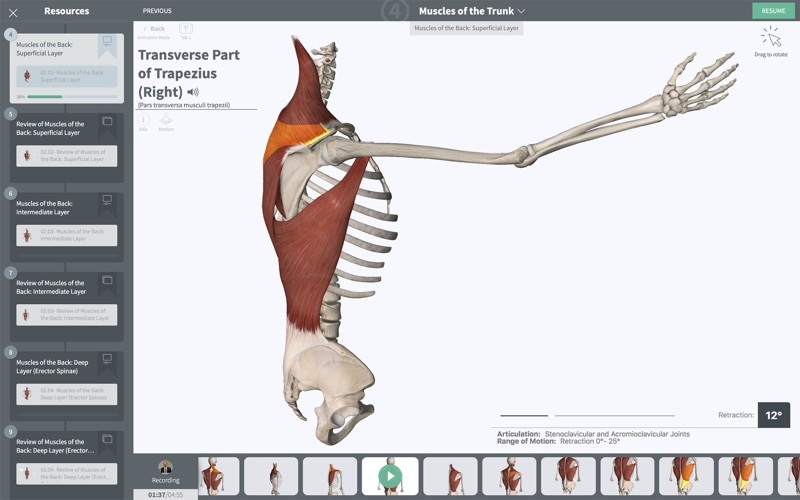 Upon completion of this course, participants can expect to be able to use anatomical terms correctly, discuss key anatomical concepts and identify structures of a given anatomical system. 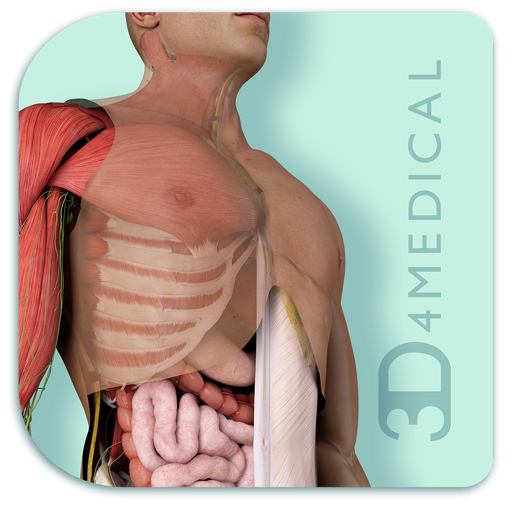 3D4Medical Courses - Immerse yourself in learning!